Ontario Truck Driving School offers funding options to get your training started. Truck training courses are expensive and need to be looked at as an investment for your future but trainers understand that it can be hard to come up with funding yourself. Ontario Truck Driving School had many funding options available to help you get the funds you need to get a career in transportation off the ground. If you are looking for a solid career it begins with strong training and Ontario Truck Driving School has quality training at a location near you. 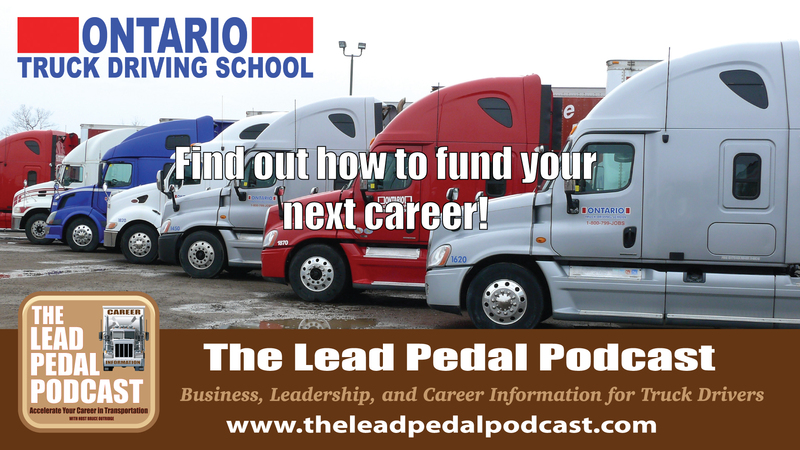 You can learn more about funding options for your career and the training required by visiting www.otds.com and tell them you heard about them on The Lead Pedal Podcast.